We launched our school-wide reading challenge last Friday by holding a Book Tasting over lunch hour in the Learning Commons. Twenty-eight library monitors and book club members attended this highly anticipated event. I began by hand-delivering bookmark entrance tickets (inspired by Willy Wonka's Golden Tickets). I almost felt guilty walking down the hall, while kids stared expectantly at me to see if they would be one of the lucky few. Secretly (okay, not so secretly), I was thrilled they were so pumped about a reading event. On the day of the launch, kids arrived with their lunches in tow. After signing in, they filled out a prize ballot. Then, they chose a seat at one of several tables, adorned with gift-wrapped books and Reading Menus. After explaining how the Book Tasting was going to work, students eagerly ripped open the "presents". These would be the first books they would "taste". Students spent two minutes with each book - looking at the front and back cover and reading the first few pages. Then, they had thirty seconds to rate the book and write down their initial thoughts. 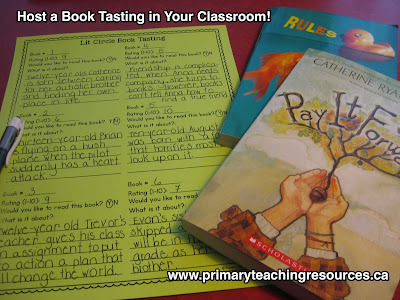 If you'd like to host a book tasting in your classroom, I've uploaded a freebie to my TpT store. It's not exactly the same as one I used, but it's very similar. Click on the photo to download the file. To keep the momentum going, in between each "tasting", I called out names for small prizes - reading lights, fancy pencils, sticky notes, and erasers to name a few. Afterward, each student chose a book to bring home to read. These lucky students were the first to borrow books from our reading challenge collection. No one else would be able to see the books until after the weekend. Our time went quickly, but everyone managed to take a book selfie for our bulletin board display. The selfie stick has been a huge hit so far! For the next several weeks, all students will be encouraged to read as many of the books as they can. 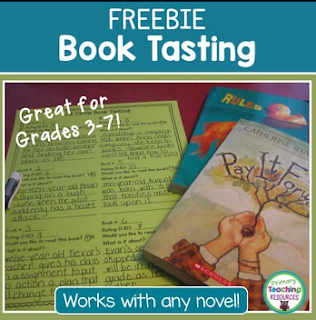 They'll earn a stamp in their Reading Passport for each book they read, as well as a prize ballot. At the end of March, students will vote for their favourite book in their grade grouping and we'll give away a copy of each book at our culminating assembly. 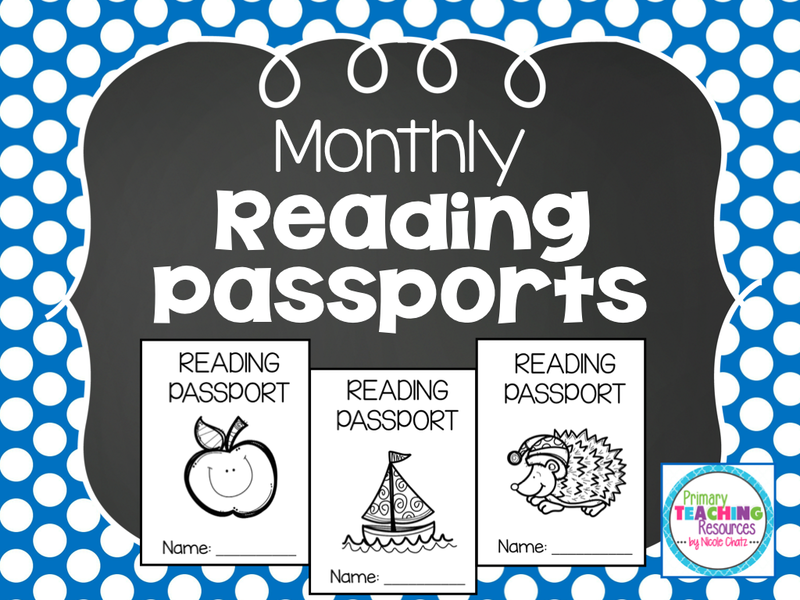 If you're interested in your own copy of the Reading Passport, clicking on the photos below will take you to my TpT store.